Northern Ireland captain Steven Davis has signed a contract extension with Southampton, tying him to the Premier League club until 2018. The 29-year-old midfielder said he was delighted to commit to a club he believes can build on recent success. "I'm excited to see where we can go together over the next few years," Davis said. "I'd like to win trophies here and continually try to improve our league position. I feel we can do that." After a summer transfer window in which several key players were sold, Saints have made a positive start to the season under new manager Ronald Koeman. With new signings such as Graziano Pelle and Dusan Tadic in impressive form, Saints have climbed to third in the league table, while Koeman was named manager of the month for September. 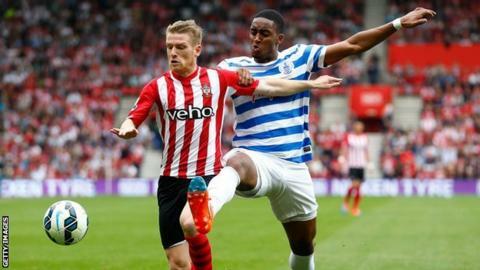 Davis, who has made 69 appearances for his country, joined Southampton from Rangers in 2012.